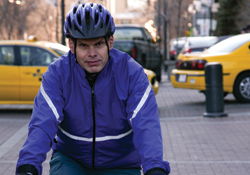 Commuting sustainably is the road of choice for engineer Paul Vink with Matrix Solutions. There was a time when Paul walked 53 minutes a day to work, which was a daily two hour commute. However, watching the cyclists fly past him on Calgary’s pathways resulted in a switch to a bike commuting. A highlight of his ride is going through Edworthy Park, where it is not unusual to have an owl swoop by, or come across playful coyote pups. Almost a year-round cycling commuter, Paul draws the line at – 20C! Through the environment committee at Matrix, Paul feels well supported in his commuting choices, which he sees as an added benefit to working at Matrix. 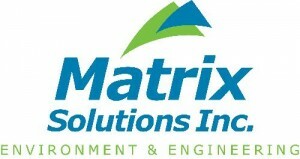 With Matrix Solutions, environmental initiatives are second nature. Employees are accustomed to the daily routine that includes recycling, composting or commuting sustainably, all of which are strongly supported by management. Innovative steps to encourage sustainability among employees are the norm. Weekly team meetings feature a “Green Minute” which includes a brief discussion of one environmental topic each week.